Very unique lakefront lot in Lakewood Shores on Cedar Lake. City water and natural gas are available at the street. This lot is a peninsula that provides fantastic views and a private setting. It is primarily wooded with Oak, Maple, and Pine. Located just minutes from town, Lake Huron, and the AuSable River. 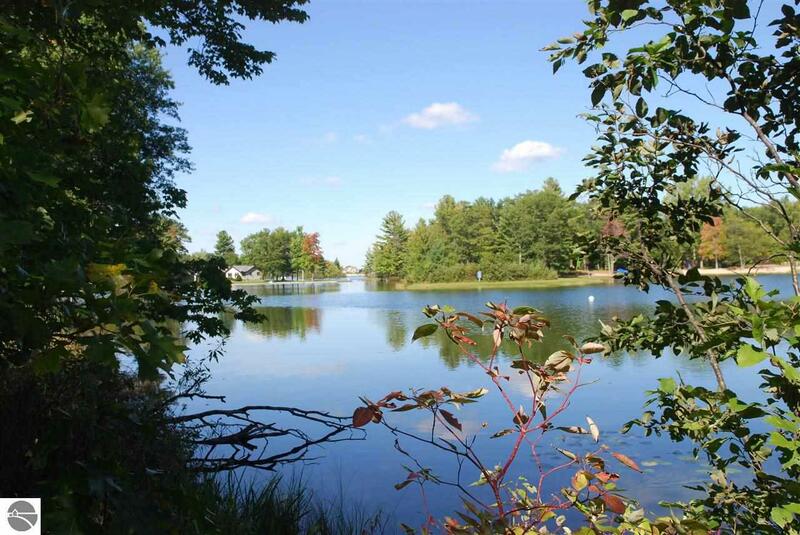 Oscoda provides many recreational opportunities; golfing, boating, hiking, ORV trails, snowmobile trails, and countless other opportunities await. For more information on Lakewood Shores home owners association visit www.lakewoodshorespoa.com, yearly association dues are currently $165 per year. The photos of Lake Huron's beach are taken at the Associations Lake Huron access. Waterfront: Inland Lake, Water View, All Sports, Canal, Public Lake, Yes, 468 Ft.